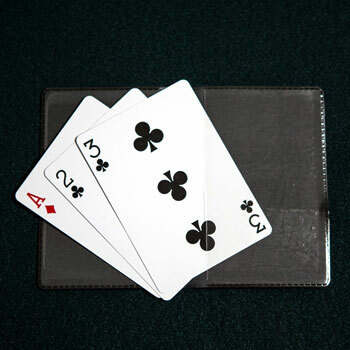 Three cards, one Ace- and you'll never let them catch it! 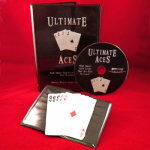 Peter Monticup created an EXTRA online video EXCLUSIVELY for our customers who purchase the Chase the Ace trick! A great trick that we've made EVEN BETTER! And this one comes with lots of extras! 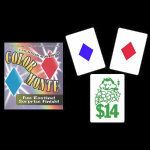 Chase the Ace is an easy version of the classic 3-Card Monte swindle. This one is meant to be repeated- and your spectators will be eager to watch it again. Best of all, you can learn this one really quickly! 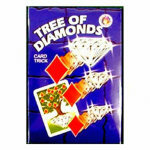 It's easy because it's done with a set of very clever gimmicked cards. 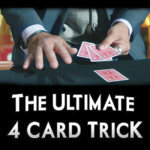 Now, that's absolutely fine- it's a terrific way to work this trick if you want to master it quickly, or if you haven't yet developed your card skills. 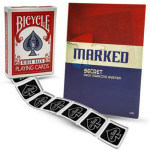 CHASE THE ACE is a super solid card effect that can be worked practically right out of the package. It's such a great effect that we wanted to take it to the next level. 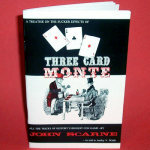 What if you could freely show the three cards at the beginning of the trick, and what if you could end the routine by performing the monte with three ungimmicked cards?? Didn't we just say that Chase the Ace is done with gimmicked cards? 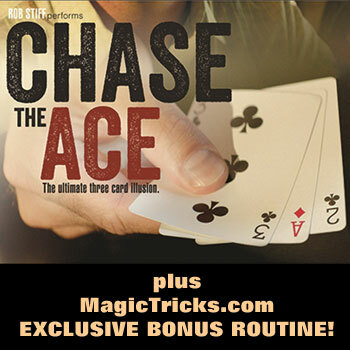 That's the EXCLUSIVE BONUS you'll get when you buy this trick from MagicTricks.com! Peter Monticup has made a ten-minute video that teaches you his own method for INVISIBLY SWITCHING the real cards for the gimmicked cards, and back again. 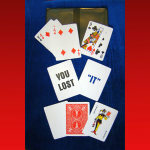 PLUS he'll show you how to finish your routine with an actual Three Card Monte using those regular cards. 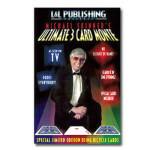 Yes, he'll show you EXACTLY how to do the EASY card move you need to do the Monte with ORDINARY CARDS! 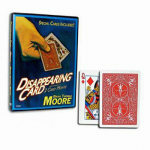 The video is ONLY available from MagicTricks.com! And it's FREE with the purchase of this trick! BONUS VIDEO: Get exclusive additional ONLINE instruction with expert tips from Peter Monticup! 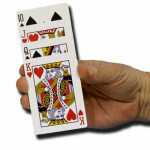 Learn his handling secrets PLUS how to do the Three Card Monte with regular cards! 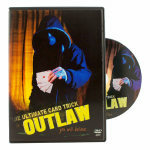 Q: can i just get the trick cards, i already have the dvd? A: Sorry- no. 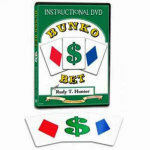 The cards and DVD come already packaged together from the manufacturer. great trick easy to learn easy to do.